Dr. Gitnick is Professor of Medicine and Chief of the Division of Digestive Diseases at the University of California, Los Angeles School of Medicine. He heads the largest gastroenterology division in the world with 80 full-time faculty members, 99 employees and a multimillion dollar budget. He received his Bachelor of Science and Doctor of Medicine degrees at the University of Chicago, after which he completed an internship at Johns Hopkins University Hospital. From there he completed Internal Medicine and Gastroenterology subspecialty training at the Mayo Clinic and also spent three years as a Research Associate at the National Institutes of Health. He joined the faculty at the University of California, Los Angeles in 1969. He was Chief of Staff of the UCLA Medical Center and was Medical Director of the UCLA Health Care Programs. Dr. Gitnick has produced over 300 publications and is the author or editor of 64 books including the textbooks "Principles and Practices of Gastroenterology and Hepatology" and "Diseases of the Liver and Biliary Tract." Dr. Gitnick is past President of the Medical Board of California and remains on its executive committee. 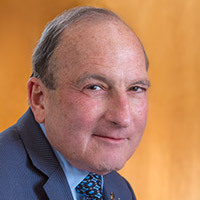 Dr. Gitnick is Chairman of the Board of Trustees of the Health Professions Education Foundation which has developed the California Health Corps, which enables doctors, nurses and allied health workers to provide care to underserved populations in exchange for educational loan repayment. He is the founder and Chair of the Board of Governors of the Fulfillment Fund, a 30-year-old nonprofit organization that provides college access programs, mentoring and college scholarships to over 2000 students each year.